Goals from Pedro and Ruben Loftus-Cheek gave Chelsea a 2-0 win over Fulham at Stamford Bridge. Here’s how we rated each player in the west London derby. Had nothing to do in the first half, but needed good reflexes to keep out a Calum Chambers header from a corner after the break and was stretched to keep out a later drive from the defender. Some important blocks made by the Spaniard, but also got forward often. One menacing low cross was almost converted by Giroud at the near post. Booked for a late tackle on Tom Cairney. Rock solid alongside David Luiz. Important interception at the start of the second half and won some vital headers. Had a fascinating battle with Aleksandar Mitrovic, which the Brazilian won hands down. Also launched several attacks with some fine passes from deep. Not very noticeable, but helped Chelsea establish firm control in the first half. 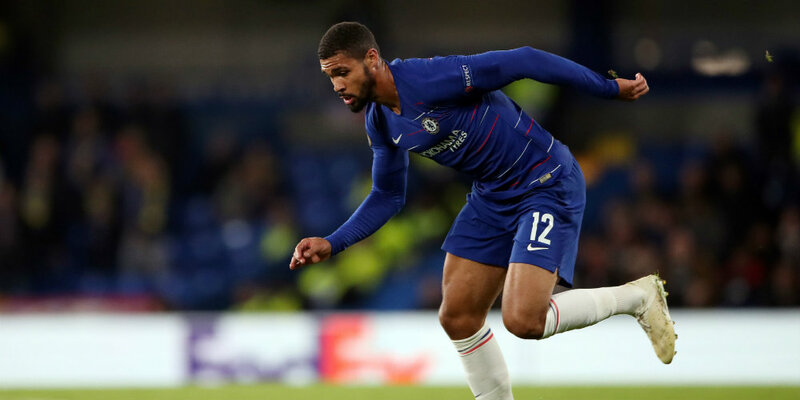 Made way for Loftus-Cheek’s more progressive surges into the opposition half. Played as if determined to prove a point to Maurizio Sarri about his value – given implied criticism of late. But still looks a bit uncomfortable in more advanced midfield role. Was always snapping at Fulham heels and won the ball to set up the early opener. Endured plenty of jibes from the away end in relation to off-field issues and maybe it unsettled him a little, as some of his crossing and overlapping was not as effective as usual. Looked sharp from the word go. Cut inside to drill past Sergio Rico in the fourth minute. Some sterling work tracking back and good work between enemy lines. Rare to see him complete 90 mins. Disappointing follow-up to his two Europa League goals in midweek. Had one shot blocked after being played in by Hazard, but too many of his first touches and passes were a little off colour. Quiet by his standards, but claimed a great assist for the second goal after sweet interchange of passes. Drifted from flank to flank in search of space but Fulham did well to keep him mostly under wraps. Had one deflected shot saved and lifted a powder-puff free-kick into Rico’s arms. On to great acclaim for Kovacic after 67 minutes. One typically surging run invited Hazard into space before the danger was snuffed out but then rifled in the clinching second goal after a fine move. Replaced the ineffective Giroud after 70 minutes and soon had a great chance, but skied over, with Rico prone after blocking a Hazard shot. Frustration showed when he was booked for a petulant foul. On for Alonso for the last 15 minutes or so for only his second league appearance of the season. Commanded his area and distributed the ball well, while coming up with crucial stops from Olivier Giroud and Eden Hazard in particular. Another solid outing from the Spaniard. Struggled to contain Hazard and the overlapping Marcos Alonso, ceding possession too many times and over-hitting almost every cross he made. Made a slow start but improved as the game progressed, sweeping up several balls in behind and standing up to substitute Alvaro Morata when he came on. Looks to be forming a decent partnership with Alfie Mawson. Got in the way of numerous Blues efforts and stood tall in several aerial challenges against Giroud. Perhaps allowed Pedro to cut inside a little too easily to give the hosts the lead. Still doesn’t look particularly comfortable at left-back and was caught out of position before Chelsea’s second, which killed the game off. Had three great chances saved by Kepa, including a powerful header from a corner and a first-time drive in the second half. Did a decent job of outmuscling Mateo Kovacic and cutting out passes in the middle, although his own were not up to scratch either. Got a rare start in André Schürrle’s absence, but was largely absent himself throughout the first half. The Whites improved considerably after his substitution at the interval. A rather sloppy performance from the Ivorian, who was deployed at the base of a midfield diamond in the first half. Robbed by Kanté in the build-up to Pedro’s opener and gave the ball away with multiple errant passes. Another off day for him. Shielded the ball excellently to kick-start the Whites’ attacks and gave his team plenty of impetus, especially after the break. Couldn’t quite unlock a stubborn Chelsea defence, despite a 94% pass success rate. Found it difficult to settle in an unusual advanced right-sided role with no winger to help Christie defensively. Withdrawn at half-time as Fulham shifted to a 4-4-1-1. Got very little service into feet and was frustrated in the air against Antonio Rüdiger, but put in a tireless shift and kept fighting to the end. Provided a much-needed outlet and dynamism on the left after his introduction at the break, as Claudio Ranieri’s formation change proved more successful. Battled against Marcos Alonso and got in behind a couple of times, helping set up Fulham’s best chance via Cairney and Chambers. Didn’t have much time to influence the game but did well to intercept a cross as Chelsea countered late on.